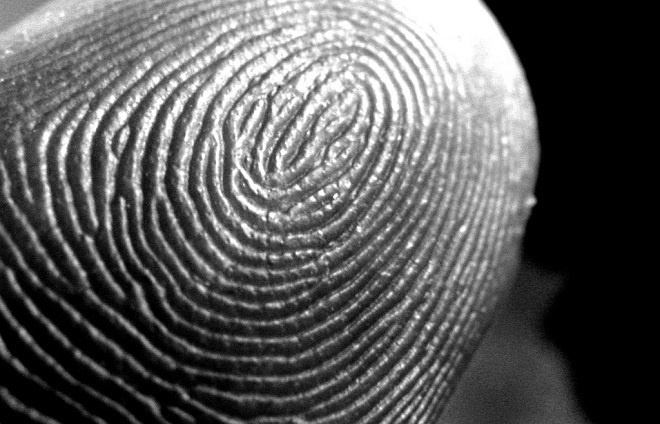 Eventually, the biometrics market — and the government enthusiasm for it — cooled off. The technological development has not. Corporate and academic labs are continuing to find new ways to ID people with more accuracy, and from further away. Here are 11 projects. My, what noticeable ears you have. So noticeable in fact that researchers are exploring ways to detect the ears’ features like they were fingerprints. In 2010, a group of British researchers used a process called “image ray transform” to shoot light rays at human ears, and then repeat an algorithm to draw an image of the tubular-shaped parts of the organ. The curved edges around the rim of the ear is a characteristic — and most obvious — example. 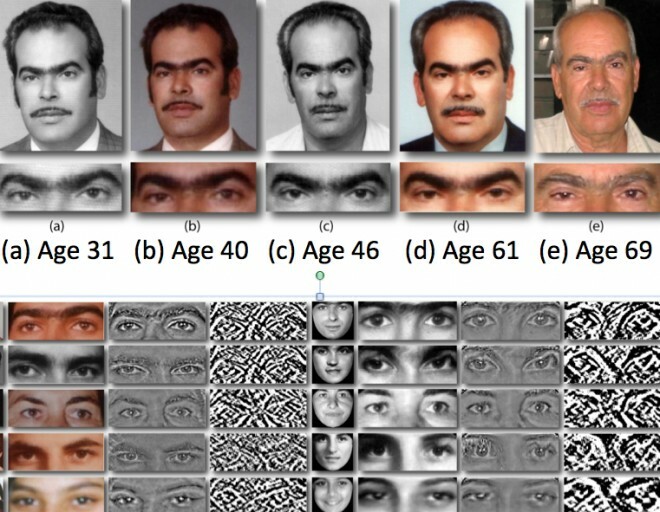 Then, the researchers converted the images into a series of numbers marking the image as your own. Finally, it’s just a matter of a machine scanning your ears again, and matching it up to what’s already stored in the system, which the researchers were able to do accurately 99.6 percent of the time. In March of 2012, a pair of New Delhi scientists also tried scanning ears using Gabor filters — a kind of digital image processor similar to human vision — but were accurate to a mere 92 to 96.9 percent, according to a recent survey (pdf) of ear biometric research. 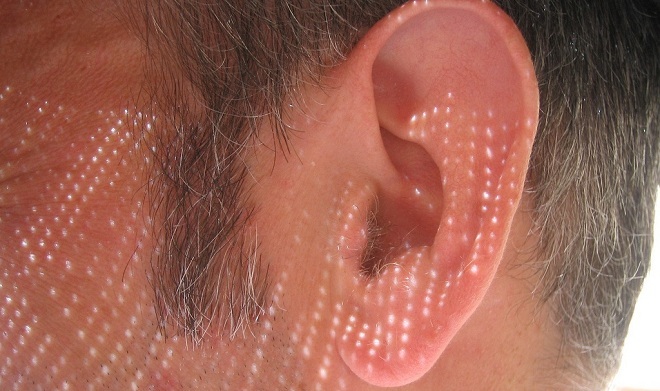 It may even be possible to develop ear-scanning in a way that makes it more reliable than fingerprints. The reason is because your fingerprints can callous over when doing a lot of hard work. But ears, by and large, don’t change much over the course of a lifespan. There’s a debate around this, however, and fingerprinting has a much longer and established history behind it. A big question is whether ear-scanning will work given different amounts of light, or when covered (even partially) by hair or jewelry. But if ear-scanners get to the point of being practical, then they could possibly work alongside fingerprinting instead of replacing them. Maybe in the future we’ll see more extreme ear modification come along as a counter-measure. In the early and mid-2000s, the Pentagon’s blue-sky researchers at Darpa dabbled in something called the “Unique Signature Detection Project,” which sought to explore ways to detect people by their scent, and maybe even spot and identify individuals based on their distinct smells. Darpa’s work ended in 2008. The following year, the Department of Homeland Security fielded a solicitation for research in ways that human scent can indicate whether someone “might be engaging in deception,” specifically at airports and other ports of entry. Odor detection is still just a research project at the moment. The science is intricate, involving more than 300 chemical compounds that produce human odor. Our personal stinks can change depending on everything from what we eat to our environment. But it may be possible to distinguish our “primary odor” — separate from “secondary” odors based on our diet and “tertiary” odors based on things like soaps and shampoos. The primary odor is the one linked to our genetics, and there have already been experiments with mice, which have been found to produce distinct scents unique to individuals. In 2007, the government’s counter-terror Technical Support Working Group even started a program aimed at collecting and storing human odors for the military’s dog handlers. Dogs, of course, have been used to track people by smell for decades, and are believed to distinguish between humans based on our genetic markers. Your chest moves, just a little, every time your heart beats or your lungs take in air. For years, researchers have been monkeying with radars that are sensitive enough to to detect those minuscule chest movements — but powerful enough to do it from hundreds of yards away. Even reinforced concrete walls and electromagnetic shielding won’t stop these radars, or so claim the researchers at the small, Arizona-based defense contractor VAWD Engineering, who are working on such a system for Darpa’s “Biometrics-at-a-distance” program. The key is the Doppler Effect — the changes in frequency when one object moves relative to another. We hear it all the time, when a fire engine passes by, siren blaring. VAWD says their vehicle-mounted Sense Through Obstruction Remote Monitoring System (STORMS) can pick up even small fluctuations of chests. STORM (pictured above) “can be used to detect, classify and identify the specific cardiac and pulmonary modulations of a… person of interest,” a company document boasts. 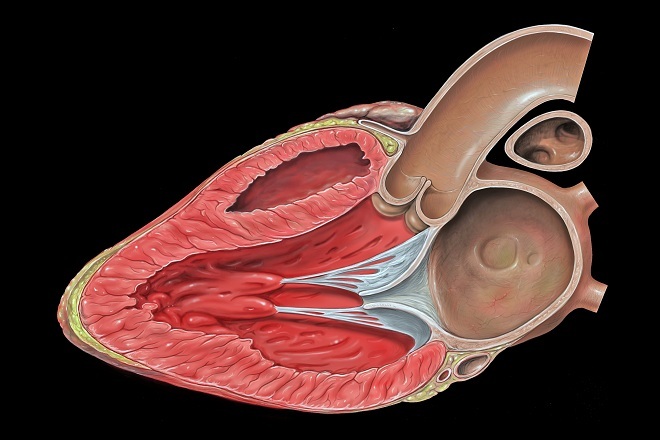 By itself, a heartbeat or a breathing rate won’t serve as a definitive biometric. But combine it with soft biometrics (how someone subtly sways when he or she stands) and you’ve got a unique signature for that person that can’t be hidden or covered up. But the company also notes that its system performs “automated human life-form target tracking” even when construction materials like “Afghan mud-huts” are in the way. STORM “has already been deployed by the United States Army on one of its most advanced ground vehicles,” the company adds. It’s seen use in Mexico, according to Slate, “where it is being used by law enforcement to collect, store, and search hundreds of thousands of voice-prints.” The National Security Agency has taken interest in similar technology. So has the FBI. 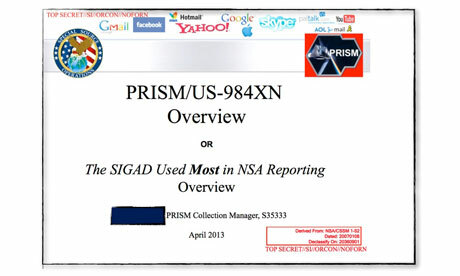 A 2012 presentation from the National Institute of Standards and Technology — with the assistance of the FBI — also speculated on potential uses including identifying and clearing people ‘involved in illegal activities,” locating serial killers and identifying arms traffickers (.pdf). Iarpa, the intelligence community’s research agency, has also been looking into ways to solve some of its problems: audio interference mainly. In 2011, the agency concluded its Biometric Exploitation Science and Technology Program (or BEST), which made “speaker recognition advances which included improving robustness to noise, reverberation, and vocal effort, and by automatically detecting these conditions in audio channels,” spokesperson Schira Madan told Danger Room in an email. But we wonder if it’ll detect autotune. 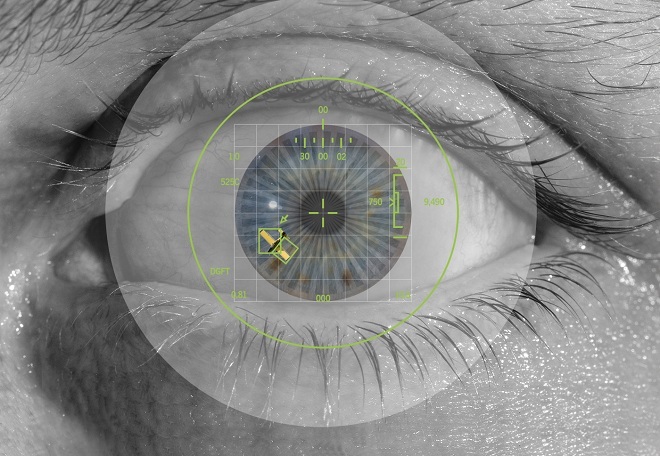 Imagine a scanner than can look deep inside your eye — from 10 feet away. Actually, you don’t have to think that hard. The technology is already here. Scanners have been developed that can focus in and scan irises from a distance of 10 feet, such the IOM PassPort, developed by government contractor SRI International. The company promises the machine can scan irises at a rate of 30 people per minute — like in high-traffic areas such as airports and train stations. SRI also claims it can see through contact lenses and glasses. But the longer-range scanners could also see other uses, aside from airports. U.S. troops field existing, short-range and handheld iris scanners to build databases of Afghan eyes as part of a plan to use biometric data to tell civilians apart from insurgents. The Department of Homeland Security has tested iris scanners at a Border Patrol station along the Texas-Mexico border. 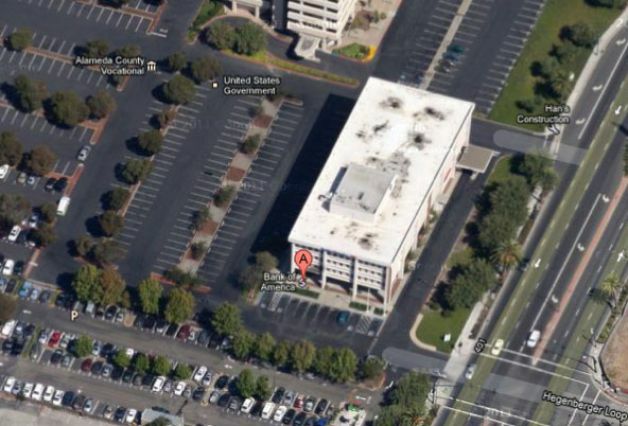 The FBI has been working on an iris database for federal prisoners, and Google uses them at company data centers. But these systems can be fussy, and require that the targets don’t move too much. There might be another way. The Pentagon’s scientists at Darpa have funded a research project at Southern Methodist University to develop cameras that can automatically zoom-in and scan irises, kinda like what happened to Tom Cruise in Minority Report — and without being blocked by pesky obstructions like eyelashes and glare from light. But another problem is that iris scanners are not the most secure means of identifying people. In July 2012, a group of researchers from the U.S. and Spain discovered a way to spoof the scanners by duplicating iris images stored in databases and creating synthetic copies. That means someone could conceivably steal your eyes, in a way. Spotting someone by their irises is one of the best-developed biometric techniques there is. But Savvides and his Carnegie Mellon colleagues think there may be an equally-promising approach in the area around the eye — also known as the “periocular” region. And unlike other biometrics — the face, for instance — the periocular region stays remarkably stable as a person ages. “The shape and location of eyes remain largely unchanged while the mouth, nose, chin, cheek, etc., are more susceptible to changes given a loosened skin,” the researchers note. In other words, this is a marker for life. Nearby, Savvides and his colleagues think they’ve found a second biometric: the shape of the eyebrow. Face-scanners are sometimes thrown off when people smile or frown. But the eyebrow shape is “particularly resilient to certain (but not all) expression variations,” the researchers note in a separate, yet-to-be-published paper. And the eyebrow can still be seen, even when the subject has most of his or her face covered. What’s not fully clear is how the eyebrow biometric responds to threading, shaving or waxing. Saavides, who responded to tons of questions about his research, says there’s no fullproof means to avoid this kind of spoofing. But Saavides is also working on sensors that can analyze multiple facial cues and features, while incorporating algorithms that detect the possibility of a person changing one or two of them. A pair of plucked eyebrows might be a weak match compared to the bushy ones the computer has on file — but the computer could also be smart enough to recognize they’ve been plucked. But first, scanners with a 20-foot distance haven’t hit the market quite yet. One machine called the AIRprint, made by Alabama firm Advanced Optical Systems, has a range of nine feet, and uses two 1.3 megapixel cameras that receives light in different wavelengths: one horizontally polarized, and the other vertically polarized. To sort out the different wavelengths, a device beams light at your fingerprints, which bounce back into the lenses, which then combines the separate wavelengths into a clear picture. A spin-off company called IDair also has a commercial scanner that reaches up to six feet and is marketed toward “security personnel.” IDair’s 20-foot-range machine is currently in development, and is described as functioning similar to satellite imagery. The military is reportedly an interested customer. The MIT Technology Review surmised that Marines may use them for scanning fingerprints from inside the relative safety of an armored vehicle or behind a blast wall. It beats exposing yourself to the possibility of a suicide bomb attack. For the civilian market, that seems better than pressing your fingertips against a greasy scanner, if you’re comfortable with the idea of having your prints scanned from far away. The problem is that gait can be kind of hard to spot. A briefcase or a bum leg prevents the recognition system from getting a clear view. So filming someone walk didn’t make for a particularly reliable biometric system. Plus, the same person may have multiple gaits — one for walking, and another for running, say. 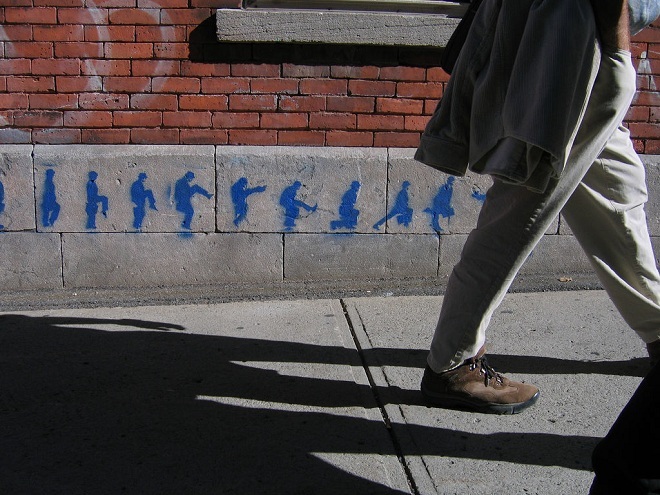 But the spread of smartphones has opened up a new way of identifying someone’s stride. Androids and iPhones all have accelerometers — sensors that measure how far, how fast, and with how much force an object moves. In a small, preliminary study, Savvides and his fellow researchers at the CyLab Biometrics Center claim they were able to get a 99.4% verification rate with the system when the subjects were walking. 61% of the time, they were even able to match someone’s fast-paced gait to their slower one. In other words, you can run…. but with a phone in your pocket, it’s going to be harder to hide. The Army wants to see some sweat. 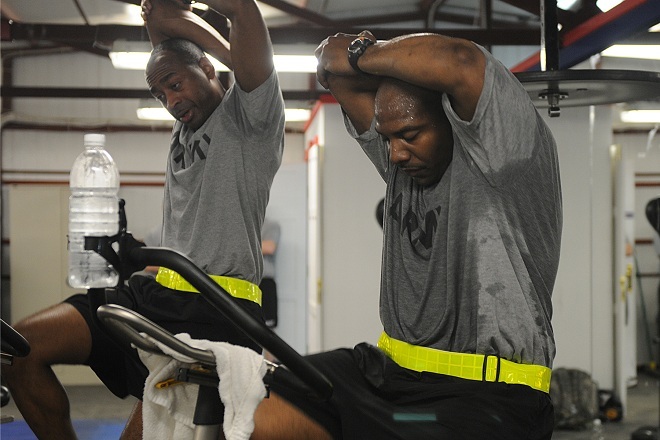 No, not workout sweat, but sweat that can betray hostile intentions. In 2010, the Army awarded a nearly $70,000 contract to California security firm Irvine Sensors Corporation to develop software that can use sensors to recognize at “abnormal perspiration and changes in body temperature.” The idea was to determine “harmful intent in such military applications as border patrol, stand-off interrogation, surveillance and commercial applications” including surveillance at businesses and “shopping areas.” It’s a bit out there, and still very much in the research stage, but makes a certain kind of sense. Elevated stress levels could give a suspect away when scanned by hyperspectral sensors that read changes in body temperature. Though a reliable system will have to work in combination with other biometric signals: threatening body movements, facial expressions, iris scans — all of these will also have to be factored into determining whether someone is up to no good. 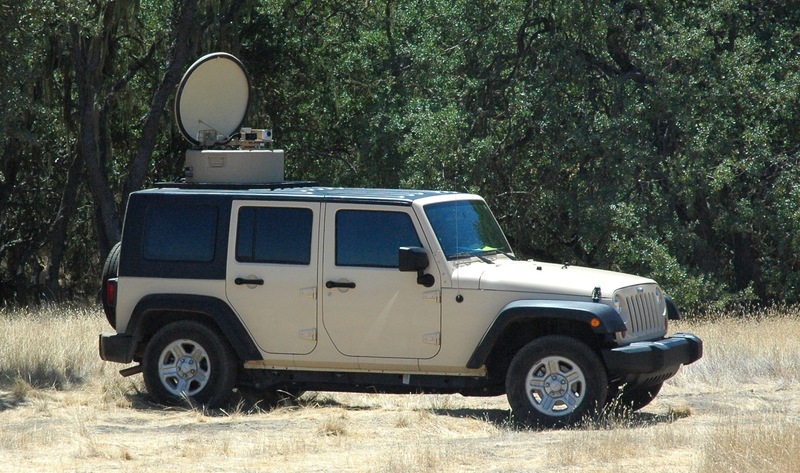 The Army contract, dubbed Image Analysis for Personal Intent, also sought to develop sensors that read these signs from a distance of nearly 150 feet. Perhaps a bit optimistic. But in 2002, a group of scientists in Minnesota managed to determine if military recruits were engaging in deception by scanning for changes in temperature around their eyes. So if you’re at all freaked out about the idea of sweat-scanners, now might be time for a cold shower. One machine that can do it is being developed by defense contractor Progeny Systems Corporation, called the “Long Range, Non-cooperative, Biometric Tagging, Tracking and Location” system. 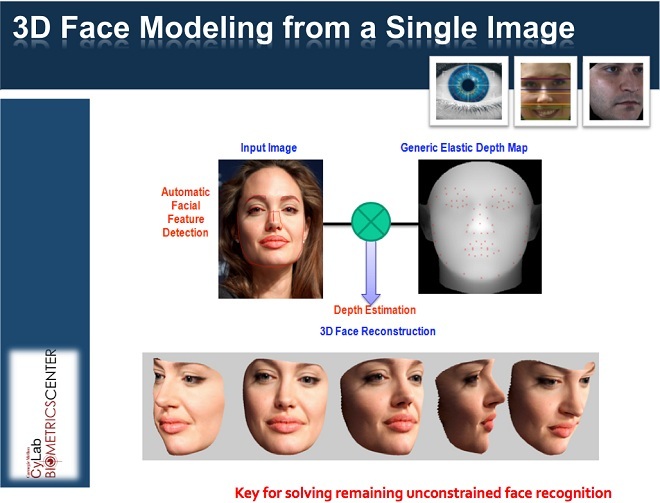 Once a person of interest is spotted, the system captures a 2D image of the person’s face before converting it into 3D. Then, once the image has been converted and filed in a database, it can be quickly recalled when the system spots the person for a second time. That’s because 3D reduces the number of pixels needed to analyze the image, speeding up the process and allowing the system to identify a person with a mere glance. The company also claims the machine works at more than 750 feet. But a face alone may not be enough to recognize a person with a machine. 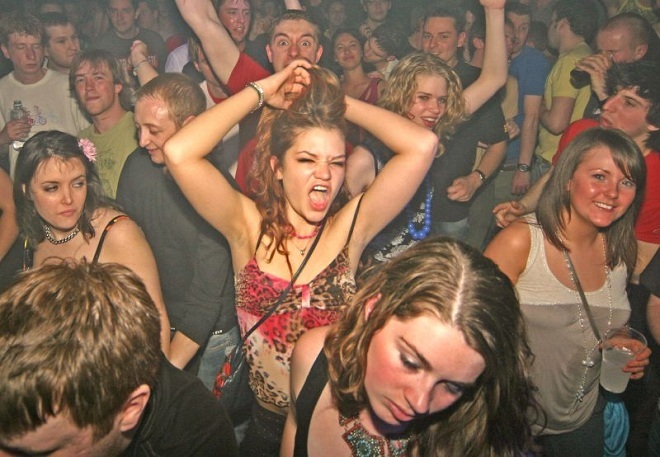 Everything from lighting conditions to distance can make it harder to get a clear picture, especially if the person being scanned is on the move, in a crowd, or ducking in and out of buildings. Using 3D models makes it easier, but the technology will likely have to be combined with “soft biometrics” like an individual’s gender, height, weight, skin color and even tattoos. Slightly creepy, no? Well, it gets creepier, like the group of Swiss scientists working on scanning facial features to detect your emotions. Developers at Carnegie Mellon University have also developed a mobile app called PittPatt –which has since been acquired by Google — that can scan your face and match it up with images you’ve shared over the internet, all in less than a minute. This month, researchers at the University of North Texas are beginning to test a $250,000 machine for the Defense and Justice Departments, and the Department of Homeland Security, so that “casualties and enemies killed in action can be quickly identified in the field,” according to the Biometrics Research Group. 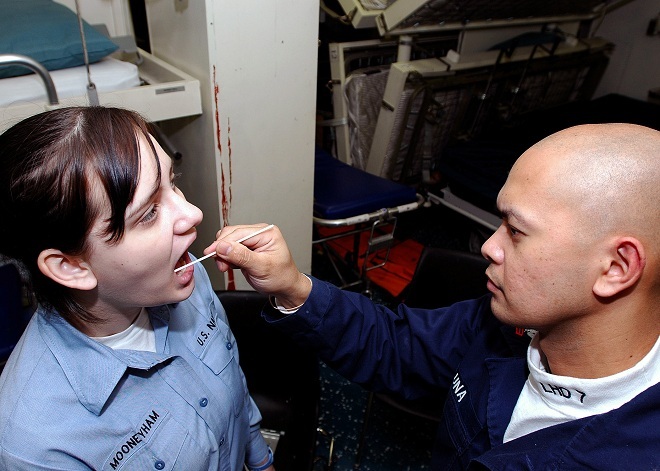 But according to the October issue of Special Operations Technology magazine, rapid DNA testing systems co-developed by defense giant Northrop Grumman had already been delivered to “unspecified government customers” beginning back in August. One of those customers is believed to be the FBI. California company IntegenX also has a portable rapid-DNA machine that can analyze molecules taken off everything from clothing to cigarette butts. There’s a simple reason why police are so interested. For a burglar who’s breaking into houses and leaving a DNA trail, the machines could clue-in faster than the burglar is able to continue the spree. ­RT: So you’ve written this book ‘Cypherpunks. Freedom and the Future of the Internet’ based on one of the programs that you’ve made for RT. In it, you say that the internet can enslave us. I don’t really get that, because the internet it’s a thing, it’s a soulless thing. Who are the actual enslavers behind it? Julian Assange: The people who control the interception of the internet and, to some degree also, physically control the big data warehouses and the international fiber-optic lines. We all think of the internet as some kind of Platonic Realm where we can throw out ideas and communications and web pages and books and they exist somewhere out there. Actually, they exist on web servers in New York or Nairobi or Beijing, and information comes to us through satellite connections or through fiber-optic cables. So whoever physically controls this controls the realm of our ideas and communications. And whoever is able to sit on those communications channels, can intercept entire nations, and that’s the new game in town, as far as state spying is concerned – intercepting entire nations, not individuals. RT: This sounds like a futuristic scenario, but you are saying that the future is already here. 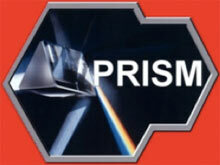 JA: The US National Security Agency has been doing this for some 20-30 years. But it has now spread to mid-size nations, even Gaddafi’s Libya was employing the EAGLE system, which is produced by French company AMESYS, pushed there in 2009, advertised in its international documentation as a nationwide interception system. 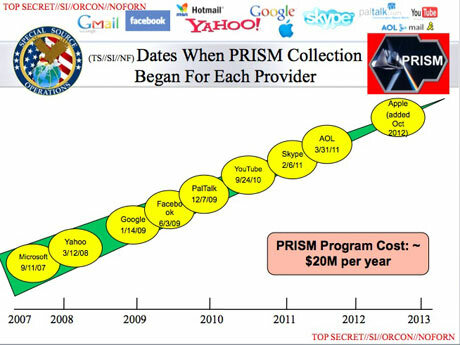 So what’s happened over the last 10 years is the ever-decreasing cost of intercepting each individual now to the degree where it is cheaper to intercept every individual rather that it is to pick particular people to spy upon. RT: And what’s the alternative, the sort of utopian alternative that you would put forward? JA: The utopian alternative is to try and gain independence for the internet, for it to sort of declare independence versus the rest of the world. And that’s really quite important because if you think what is human civilization, what is it that makes it quintessentially human and civilized, it is our shared knowledge about how the world works, how we deal with each other, how we deal with the environment, which institutions are corrupt, which ones are good, what are the least dumb ways of doing things. And that intellectual knowledge is something that we are all putting on to the internet – and so if we can try and decouple that from the brute nature of states and their cronies, then I think we really have hope for a global civilization. If, on the other hand, the mere security guards, you know, the people who control the guns, are able to take control of our intellectual life, take control of all the ways in which we communicate to each other, then of course you can see how dreadful the outcome will be. Because it won’t happen to just one nation, it will happen to every nation at once. It is happening to every nation at once as far as spying is concerned, because now every nation is merging its society with internet infrastructure. RT: And in what way are we, as sort of naïve internet users, if you like (and I exclude you from that, obviously), kind of willingly collaborating with these collectors of personal data? You know, we all have a Facebook account, we all have telephones which can be tracked. JA: Right. People think, well, yeah, I use Facebook, and maybe the FBI if they made a request, could come and get it, and everyone is much more aware of that because of Petraeus. But that’s not the problem. The problem is that all the time nearly everything people do on the internet is permanently recorded, every web search. Do you know what you were thinking one year, two days, three months ago? No, you don’t know, but Google knows, it remembers. The National Security Agency who intercepts the request if it flowed over the US border, it knows. So by just communicating to our friends, by emailing each other, by updating Facebook profiles, we are informing on our friends. And friends don’t inform on friends. You know, the Stasi had a 10 per cent penetration of East German society, with up to 1 in 10 people being informants at some time in their life. Now in countries that have the highest internet penetration, like Iceland, more than 80 per cent of people are on Facebook, informing about their friends. That information doesn’t [simply] go nowhere. It’s not kept in Iceland, it’s sent back into the US where it IS accessed by US intelligence and where it is given out to any friends or cronies of US intelligence – hundreds of national security letters every day publicly declared and being issued by the US government. RT: So do we risk kind of entering a scenario where there are almost two castes of people: a safe minority who are very savvy about the workings of the internet and the things that you described, and just people who go online for kicks? JA: We have this position where as we know knowledge is power, and there’s a mass transfer as a result of literally billions of interceptions per day going from everyone, the average person, into the data vaults of state spying agencies for the big countries, and their cronies – the corporations that help build them that infrastructure. Those groups are already powerful, that’s why they are able to build this infrastructure to intercept on everyone. So they are growing more powerful, concentrating the power in the hands of smaller and smaller groups of people at once, which isn’t necessarily bad, but it’s extremely dangerous once there is any sort of corruption occurring in the power. Because absolute power corrupts, and when it becomes corrupt, it can affect a lot of people very quickly. 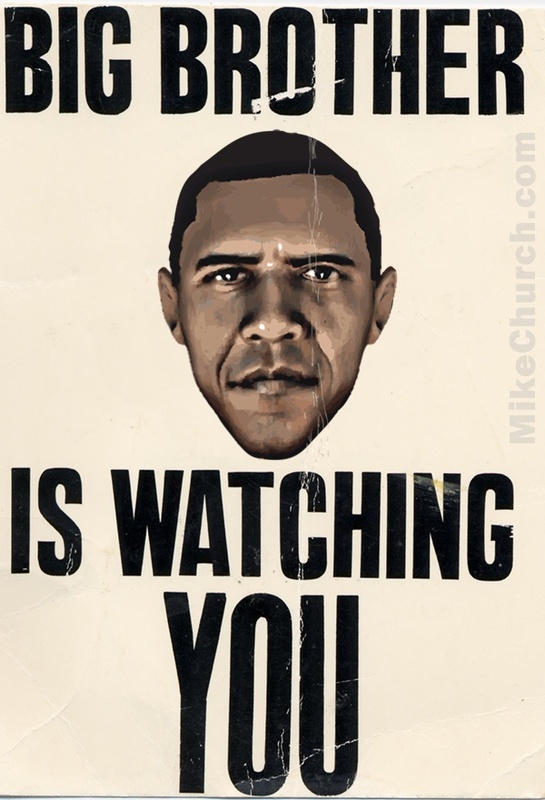 Bill Binney, National Security Agency whistleblower, who was the research head of the National Security Agency’s Signals Intelligence Division, describes this as a ‘turnkey totalitarianism’, that all the infrastructure has been built for absolute totalitarianism. It’s just the matter of turning the key. And actually the key has already been turned a little bit, and it is now affecting people who are targeted for US drone strikes, organizations like WikiLeaks, national security reporters who are having their sources investigated. It is already partly turned, and the question is, will it go all the way? RT: But has it been built really by corporations and kind of unwittingly subscribed to by people, in order to advertise products to make money, or has it been built deliberately by governments for the sole purpose of surveillance? JA: It’s both. I mean the surveillance infrastructure, the bulk surveillance infrastructure – there are hundreds of companies involved in that business. They have secret international conferences, they have prospectuses that they give to intelligence agencies that we have obtained and published this year together with Privacy International and the Bureau of Investigative Journalism. Also, The Wall Street Journal has done some good work on this. They are building devices that they advertise to intercept entire nations, to install the data from those intercepts permanently – strategic interception, because it’s cheaper. So it’s a combined corporate/government amalgam. That’s one of the problems, one of the reasons it’s so unaccountable is that it crosses boundaries. Companies don’t just sell to their home country, they sell to companies overseas. There are shareholdings held in BVI, and the company might be British-registered, like BIA, but actually a lot of research and development is done in Sweden, etc. And then you also have Google and Facebook, who started up predominantly serving the public, but also have developed side projects to service the US intelligence complex. And individuals are constantly pushing their thoughts into Google as each thing that they want to research; it is pushed via emails, and on Facebook, through their social relationships. That’s an undreamt of spy database. Facebook is completely undreamt of even by the worst spying nation, given the richness and sophistication of relationships expressed. RT: And willingly contributed to. RT: Who do you think has the organized power to stop these things that you are talking about? JA: If there is political will, everything is possible. So if we get the political will, then of course those agencies can be dismantled. Very aggressive legislation, policing can be pushed upon them. In some regions of the world, such as Latin America, perhaps that’s a possibility. There is a certain democratic tendency, which Ecuador is part of that might do that. But in general I think the prognosis is very grim. And we really are at this moment where it can go one way or the other way. To a degree, perhaps the best we can be sure, if we work, of achieving is that some of us are protected. It may only be a high-tech elite, hopefully expanded a bit more – people who can produce tools and information for others that they can use to protect themselves. It is not necessary that all of society is covered, all of society is protected. What’s necessary is that the critical accountability components of society that stop it from going down the tubes entirely, that those people are protected. Those include corruption investigators, journalists, activists, and political parties. These have got to be protected. If they are not protected, then it’s all lost. RT: Is there a way that I can protect myself without knowing all about computers? JA: Well, a little bit. But the first thing to be aware of is how much you are giving away. The first way to protect yourself is to go, “OK, I’ll discuss that in person, and not over Facebook chat,” or, “OK, I will discuss this using some forms of encrypted chat, like OTR, and not on a Facebook chat.” You can go to torproject.org and download encrypted anonymizing software. It is slower than normal, but for things like internet chat it’s fine, because you are not downloading very much at once. So there are ways of doing this. What is really necessary, however, for those to be properly developed, there needs to be enough market demand. It’s the same situation as soap and washing your hands. Once upon a time, before the bacterial theory of disease, before we understood that out there invisibly was all this bacteria that was trying to cause us harm – just like mass state surveillance is out there invisible and trying to cause society a large harm. – no one bothered to wash their hands. First process was discovery; second process, education; third process, a market demand is created as a result of education, which means that experts can start to manufacture soap, and then people can buy and use it. 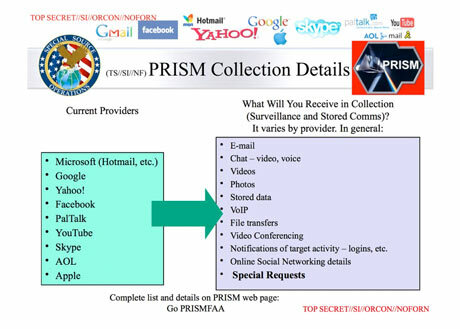 So this is where we are at now, which is we’ve got to create education amongst people, so there can be a market demand, so that others can be encouraged to produce easy-to-use cryptographic technology that is capable of protecting not everyone, but a significant number of people from mass state spying. And if we are not able to protect a significant number of people from mass state spying, then the basic democratic and civilian institutions that we are used to – not in the West, I am no glorifier of the West, but in all societies – are going to crumble away. They will crumble away, and they will do so all at once. And that’s an extremely dangerous phenomenon. It’s not often where all the world goes down the tube all at once. Usually you have a few countries that are OK, and you can bootstrap civilization again from there. RT: We just passed the second anniversary of Cablegate, and since then this war on whistleblowers and this state surveillance seems to have got worse. Do you think something as large as Cablegate could ever happen again and it would have a similar impact? JA: Yes, yes. Hopefully next year. RT: What sort of time next year? JA: I won’t go into it, but hopefully earlier rather than later. RT: Do you feel that when WikiLeaks is making these releases you’re having as large an impact as you’ve had before? JA: Well, Cablegate was extraordinary. It was published over a period of 12 months. It’s the most significant leak. Our previous leak, on the Iraq war, was also 400,000 documents, showing precisely how over 100,000 people were killed. That was also very significant. But yes, no one has done anything as significant as that since, but yes, hopefully, that will continue. The successes of WikiLeaks shouldn’t be viewed merely as a demonstration of our organization’s virility or the virility of the activist community on the internet. They are also a function of this hoarding of information by these national security [agencies]. The reason there was so much information to leak, the reason it could be leaked all at once is because they had hoarded so much. Why had they hoarded so much? Well, to gain extra power through knowledge. They wanted their own knowledge internally to be easily accessible to their people, to be searchable, so as much power could be extracted from it as possible. WikiLeaks attempts to redress the imbalance of power. During his travels in Europe he “witnessed extreme interrogations in which the CIA committed murder using biological agents that Dr Olson had developed”. After raising concerns about the killings, Dr Olson was allegedly given LSD in a glass of brandy and then executed by the CIA, triggering what his family claims is “a multi-decade cover-up that continues to this day”. The lawsuit gives no details about the reported deaths in Europe and the Ministry of Defence would not comment on Dr Olson’s activities in Britain. A MoD spokesman said that Porton Down had been used to develop countermeasures to biological weapons and “part of this work included ongoing collaboration with our international allies, including the US”. Days later he was brought to New York for “psychiatric treatment” by CIA officials who allegedly told his family that he had become unstable and violent. At 2.30am on November 28, Dr Olson went through the window of the Statler Hotel’s room 1018a, which he was allegedly sharing with a CIA doctor, and died in the street below. Dr Olson’s family was paid a settlement and invited to the White House by President Gerald Ford, who apologised for the government’s concealment of the drugging. However, the family remained unsatisfied with the government’s account and in 1996 exhumed Dr Olson’s body and claimed to have found evidence of a blow to the head suffered before his fall. Prosecutors in New York re-opened an investigation and although they were unable to turn up new evidence decided to change Dr Olson’s cause of death from “suicide” to “unknown”. The family are now suing the government, claiming that the CIA is continuing to conceal files relating to their father’s death. “The evidence shows that our father was killed in their custody. They have lied to us ever since, withholding documents and information, and changing their story when convenient,” said Eric Olson.